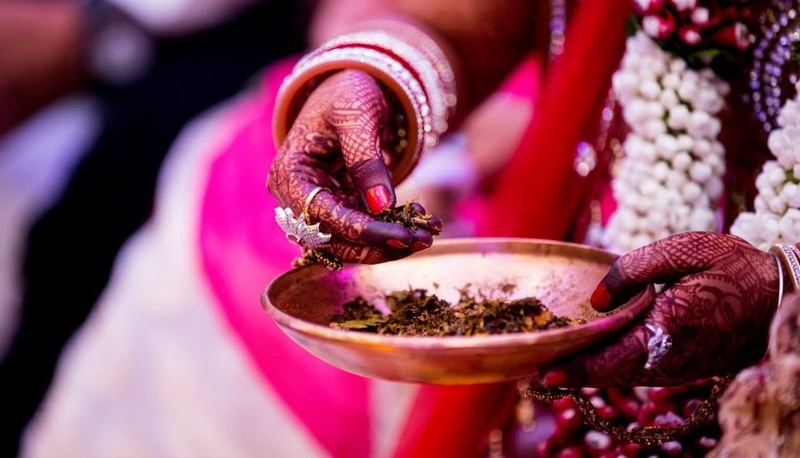 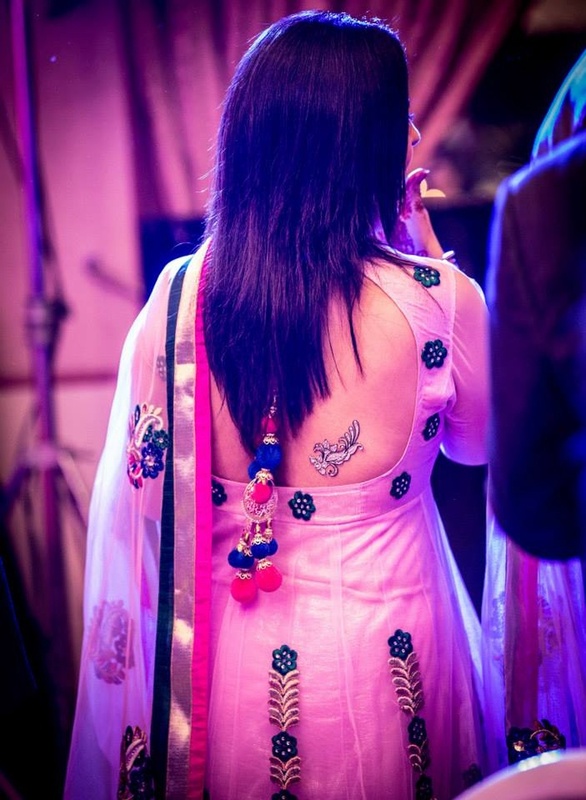 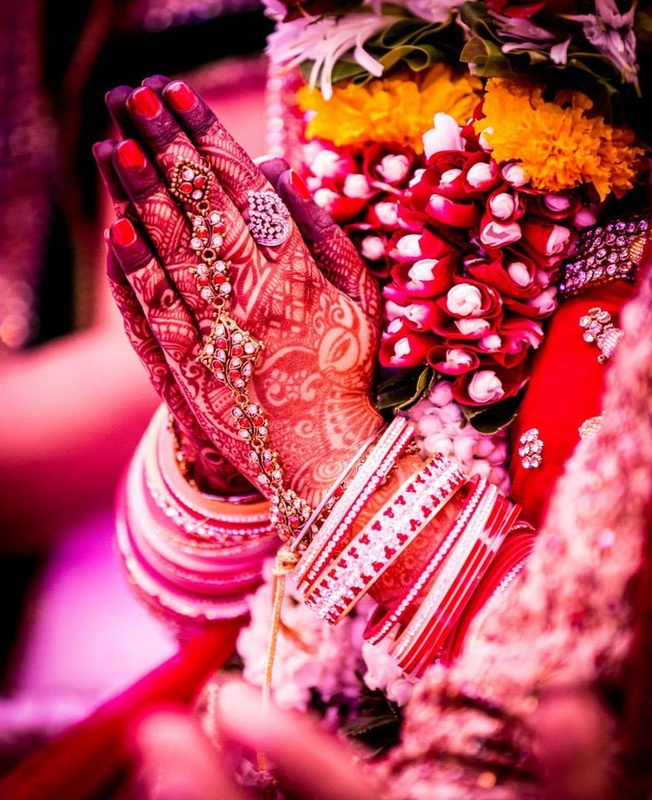 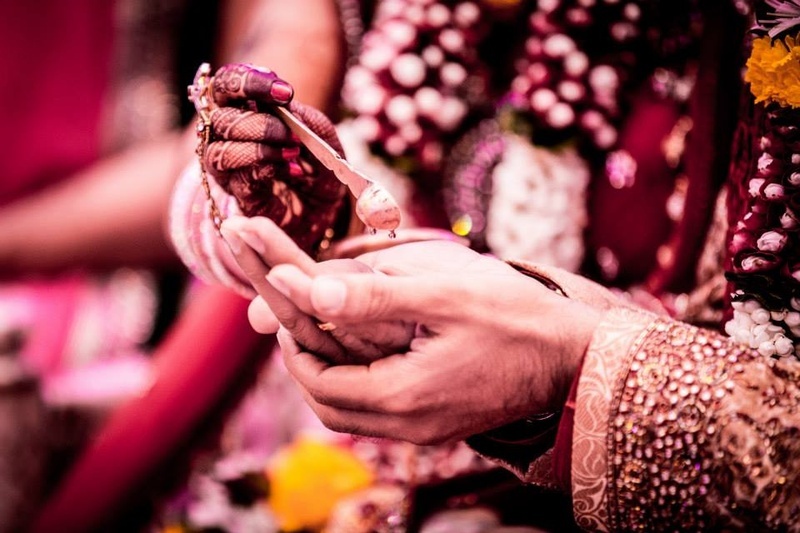 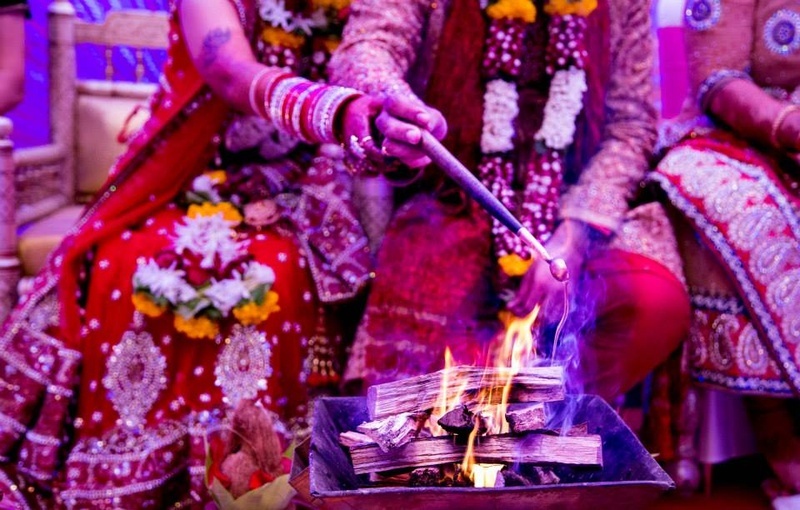 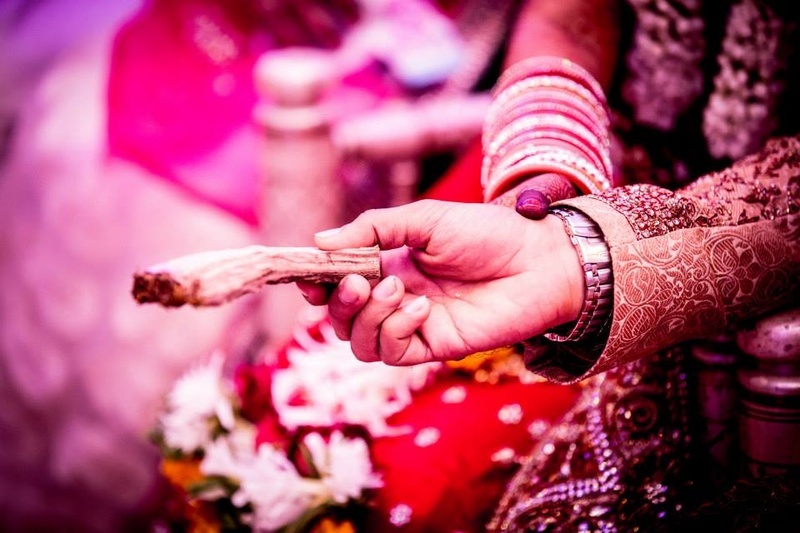 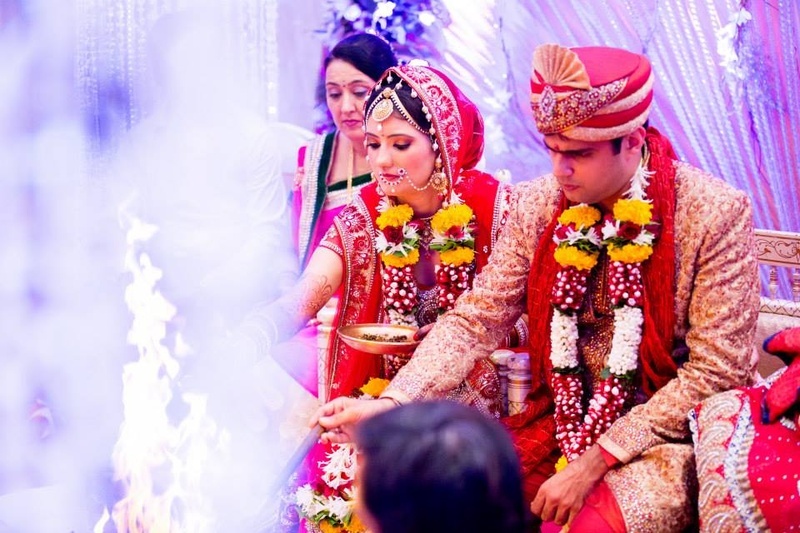 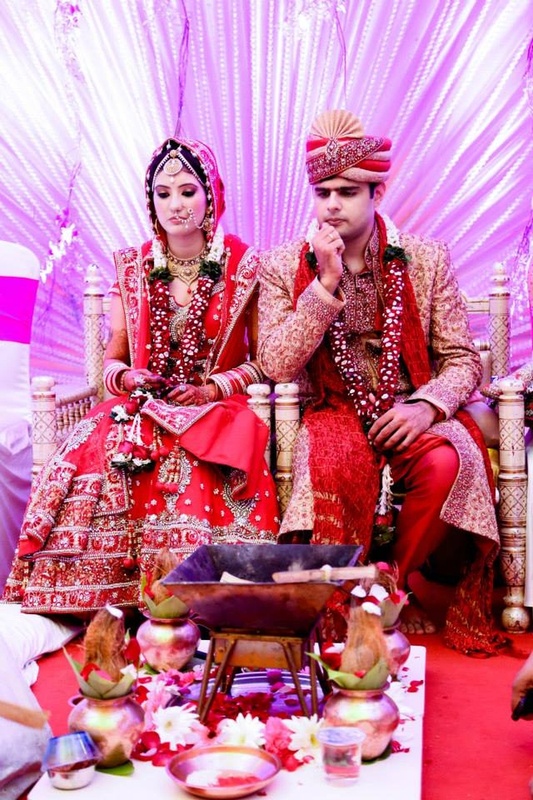 Rachana and Karan’s wedding was filled with bright and colourful moments. 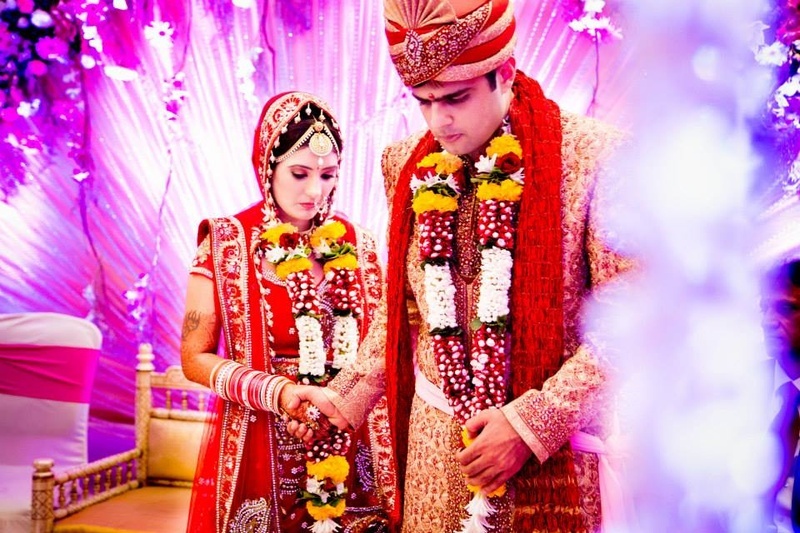 This beautiful couple followed every wedding custom and ceremony, as per Indian tradition and culture. 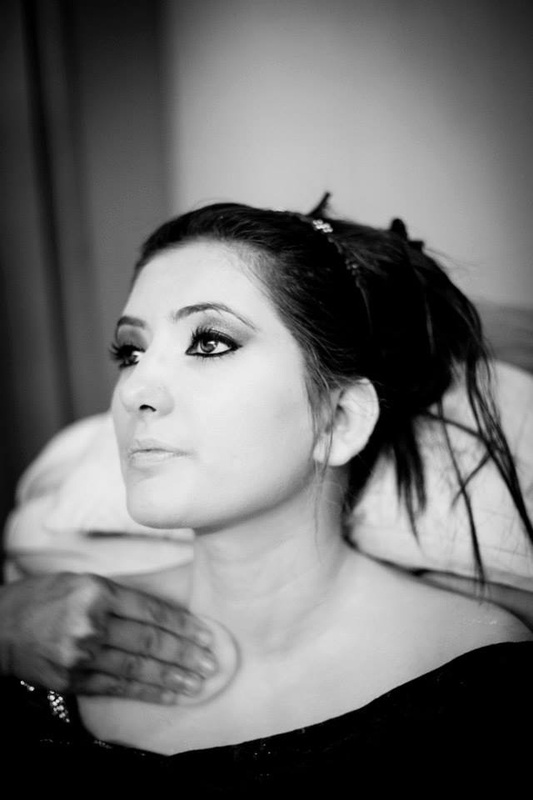 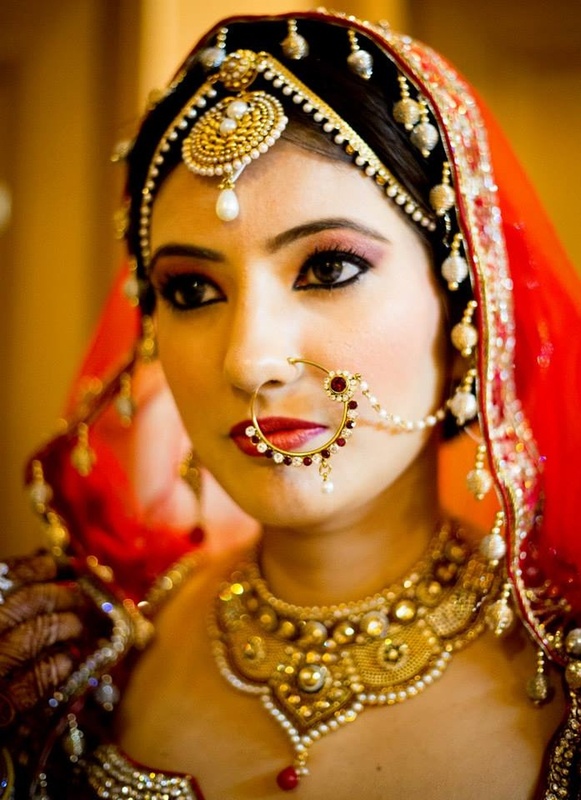 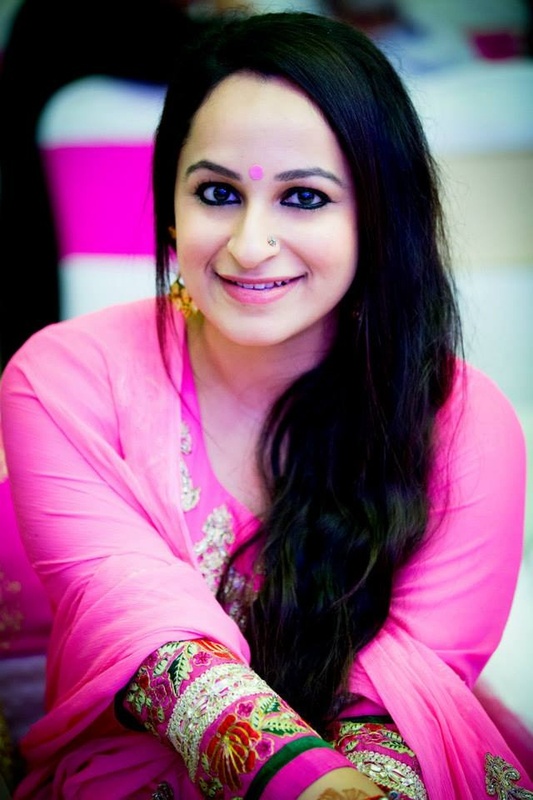 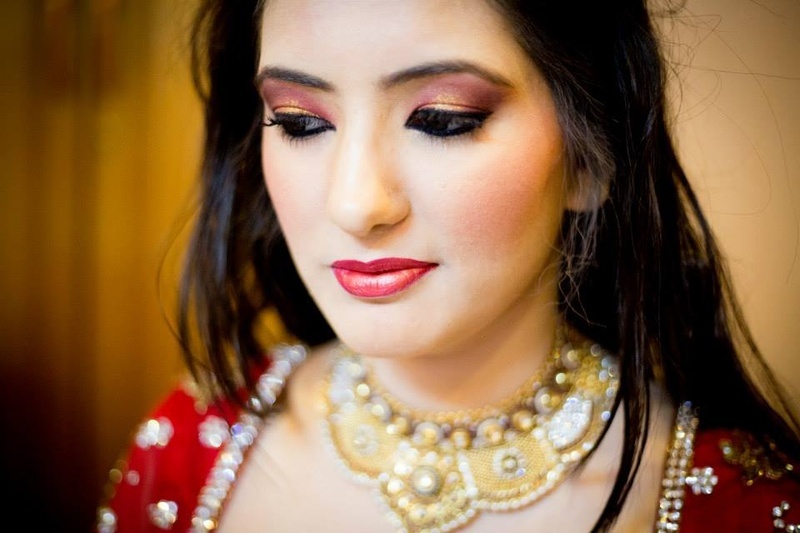 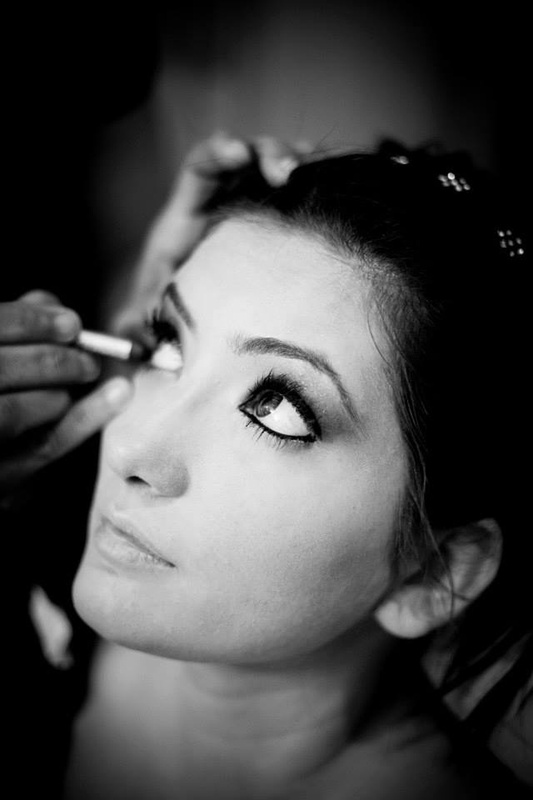 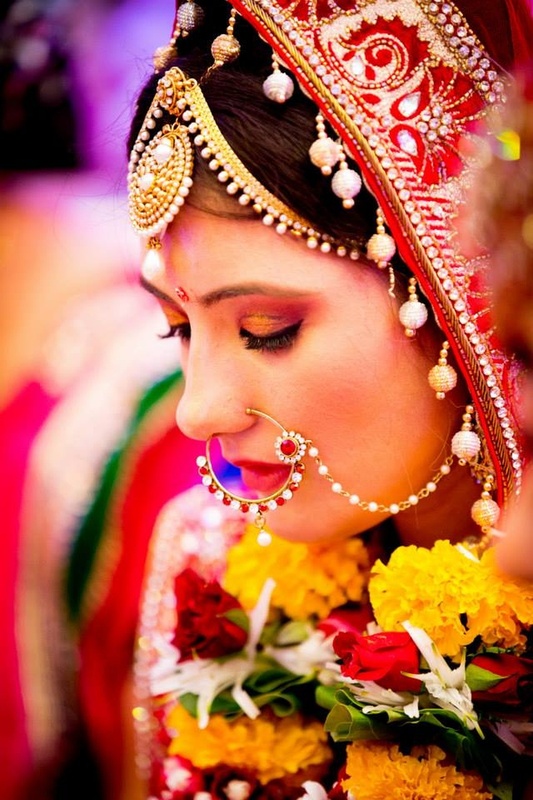 All the hard work that went behind the long bridal make-up sessions, highlighted Rachana’s face in all the right ways. 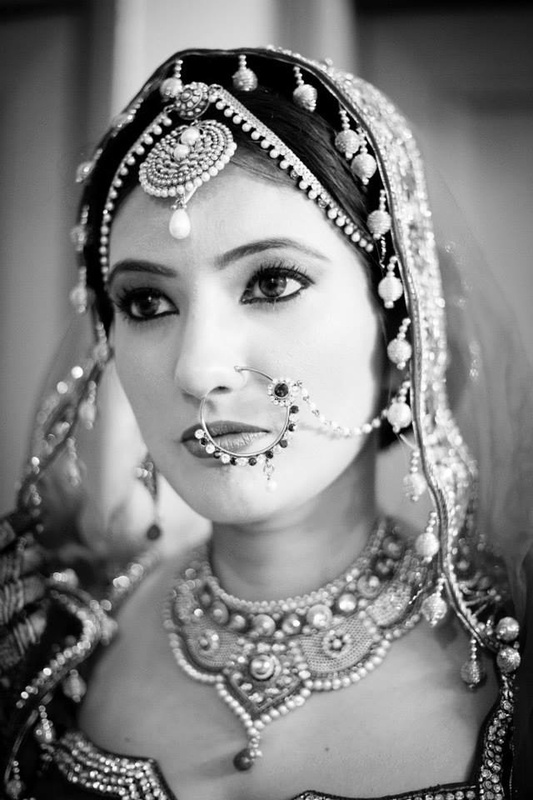 She wore a beautiful bridal jewellery set that included an ethnic choker and mathapatti, and an oversized nath that was embellished with white pearls. 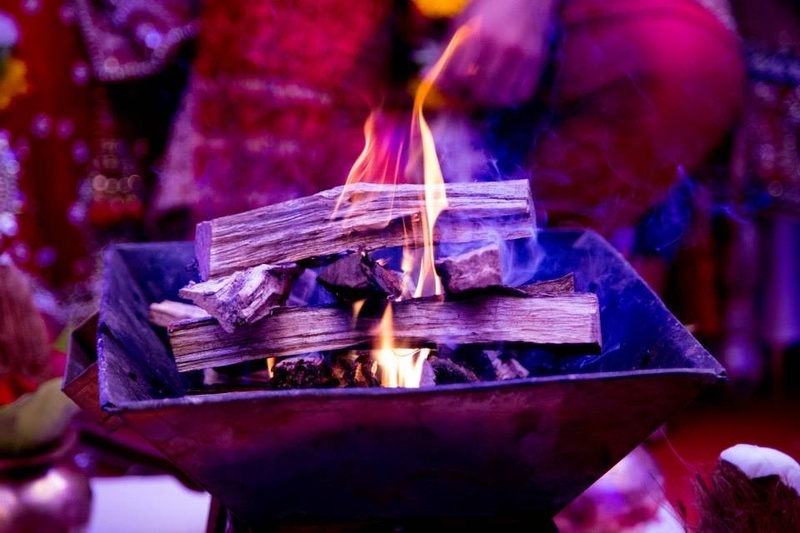 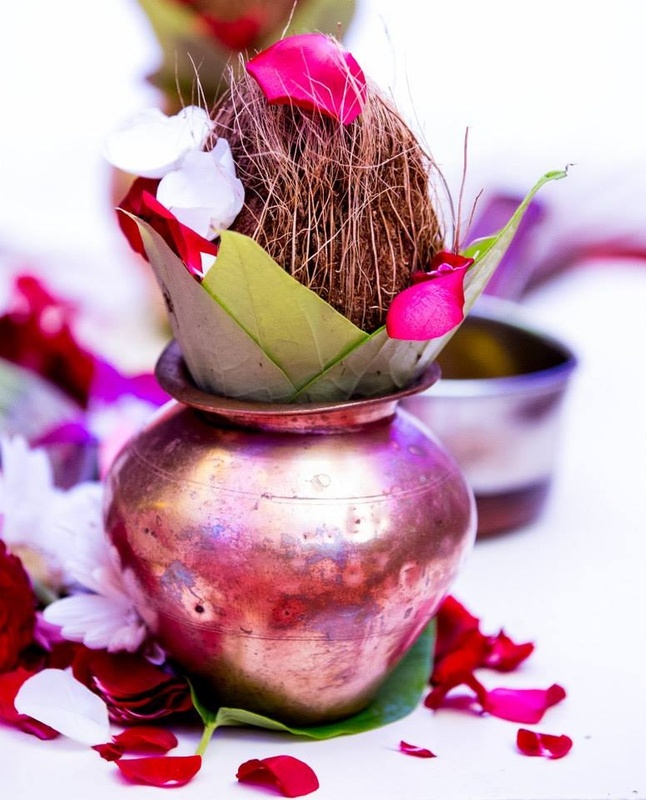 From the hawan arpan to the sprinkling of Gangajal, the couple religiously followed every wedding ritual to the T. The wedding décor created a sea-shell like feel with drapes looking like an oyster and the bright pink lights added a glossy appeal to the whole setting. 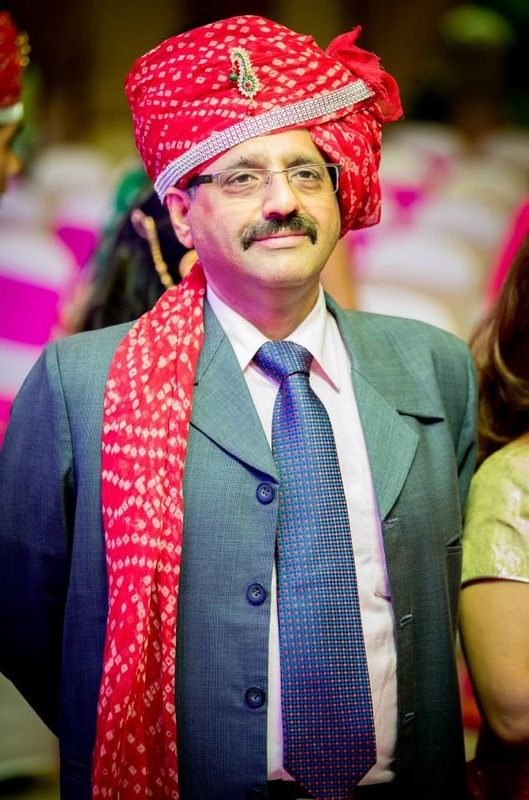 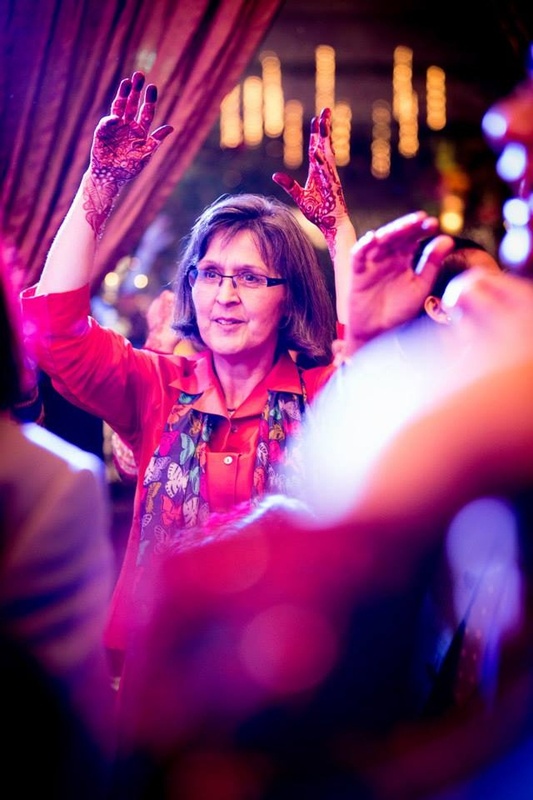 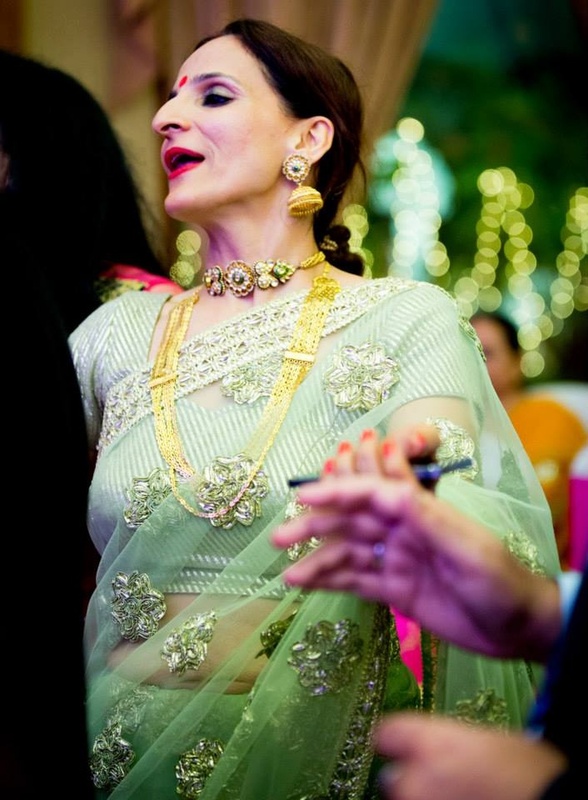 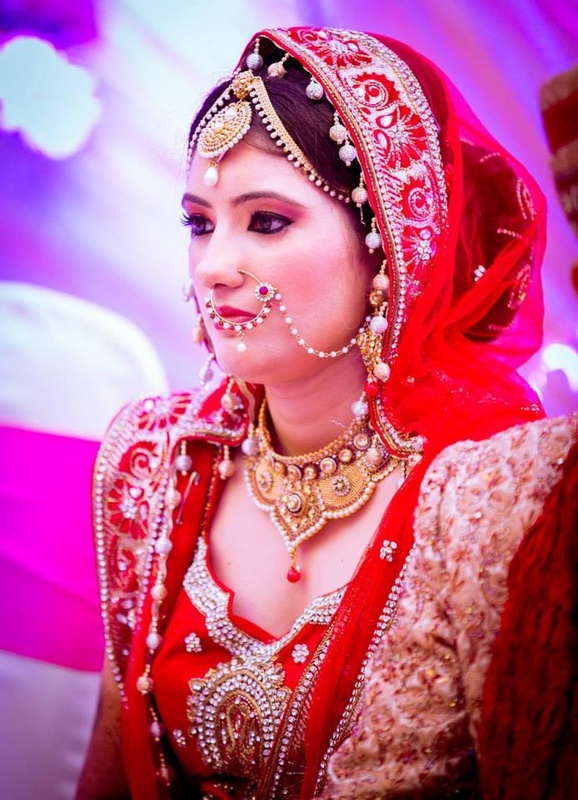 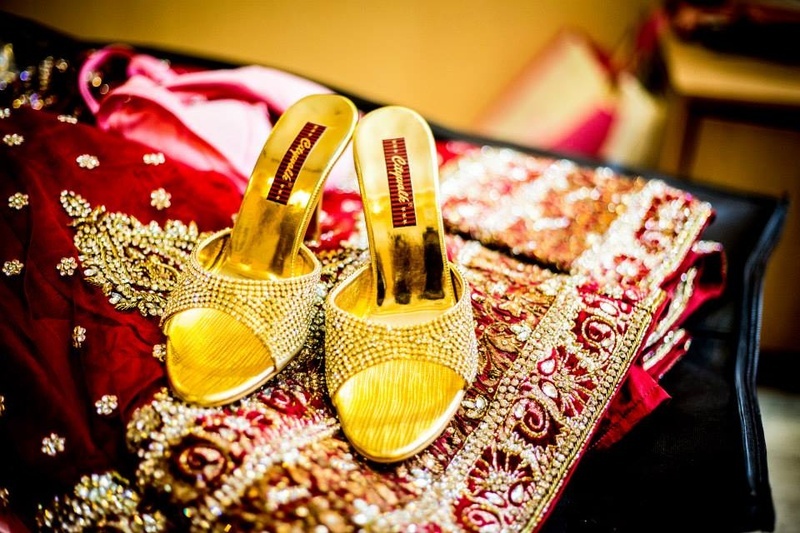 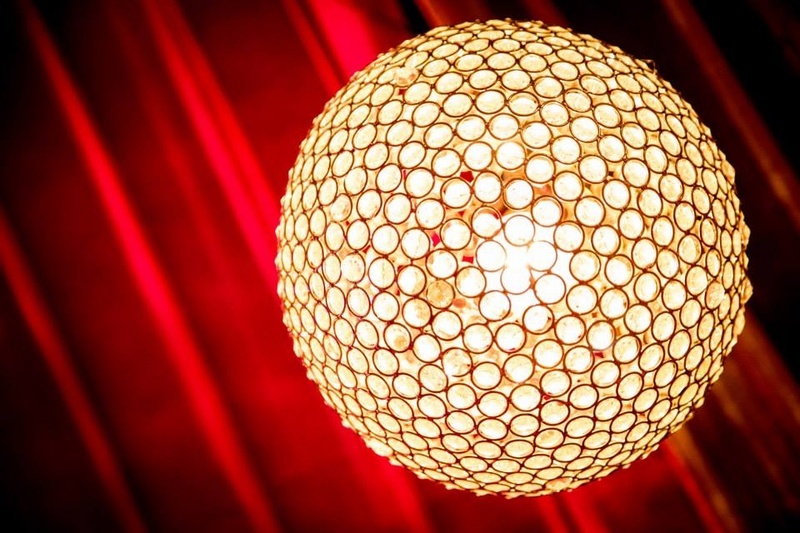 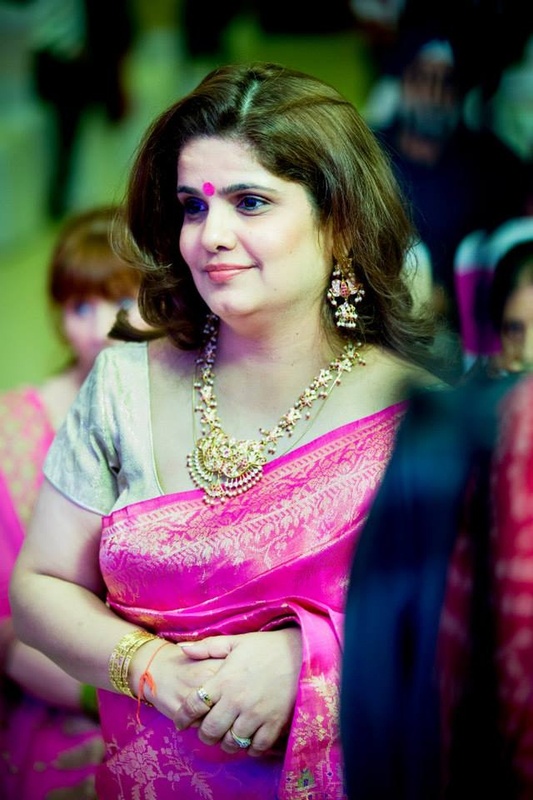 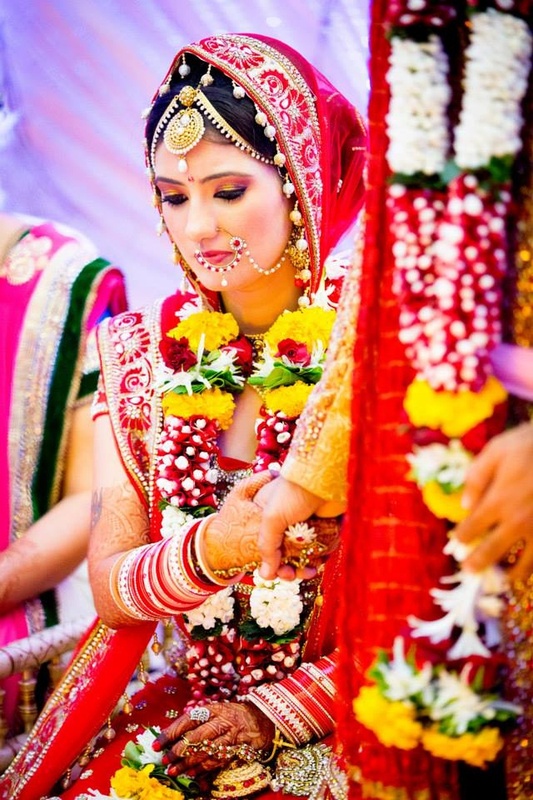 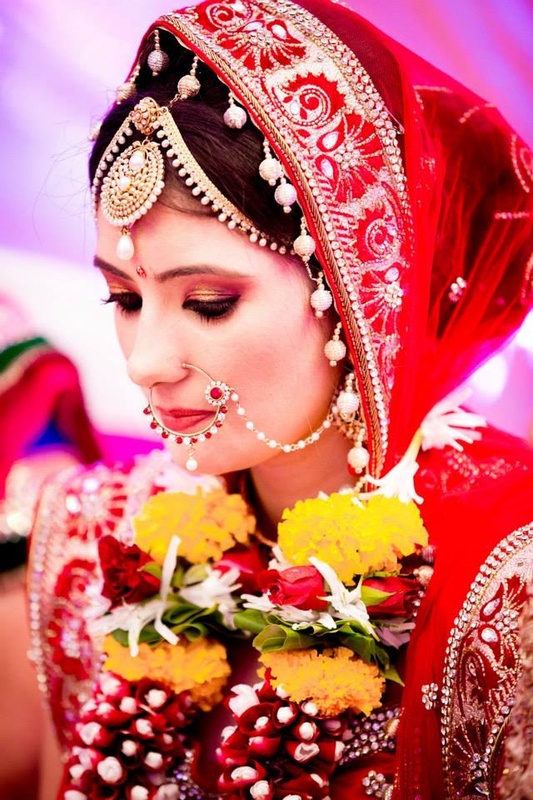 The bride was dressed in a bright red bridal lehenga and the groom, in a cream and red sherwani for their Saat Pheras. 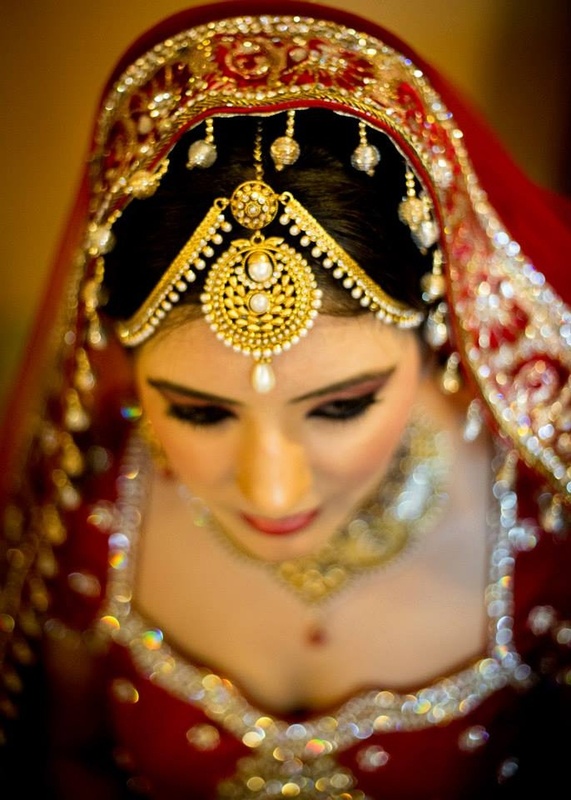 His stylish turban accentuated his entire appearance, which complimented Rachana perfectly. 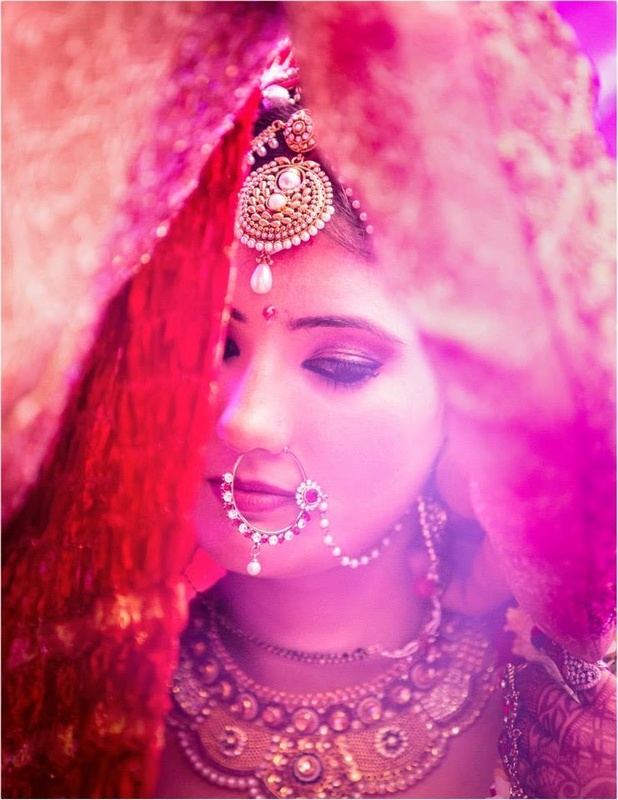 Capturing every ray of light, every candid expression and memorable moment from their wedding day, Girl in Pink Photography did a fantabulous job behind the view finder. 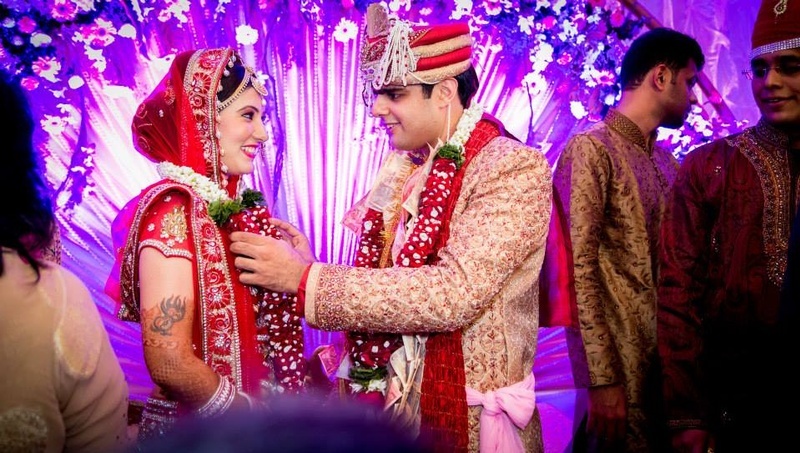 Let’s scroll through some of the beautiful pictures from their wedding day!